I have to admit, I love daffodil’s. However, I find them one of the most challenging flowers to draw. From the front, from the back, from the side, it doesn’t matter…they are hard to capture. Easier to paint than to draw I think. I am working on daffodil’s only because a friend mentioned that these were truly her favorite flower. I was happy to give her the tulip drawing, but after hearing her story of why she loves daffodil’s I felt I had to try the daffodil’s. It may be awhile before I feel like I am doing them justice. A good challenge. 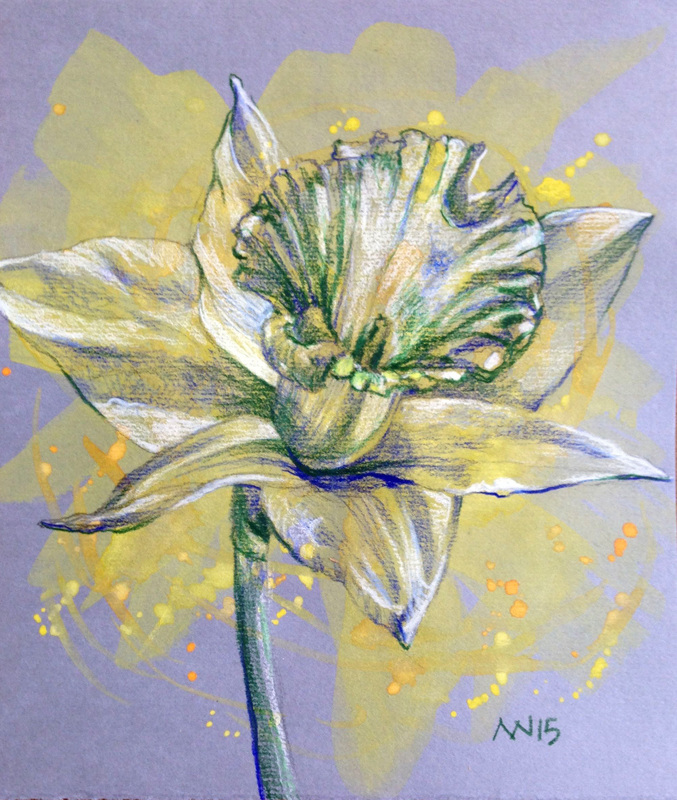 This entry was posted in #sketchbookskool, art, art journal, daffodil, flower, nature and tagged art, art journal, artist, colored pencil, daffodil, nature, watercolor. Bookmark the permalink.